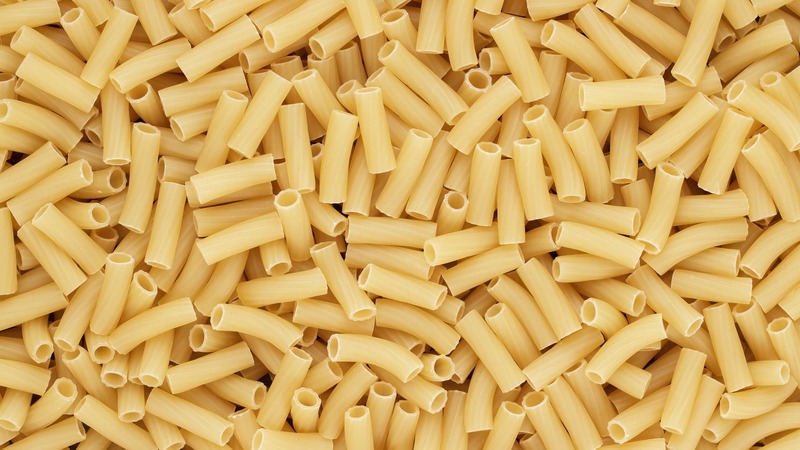 Tortiglioni is a Napolitan variation of the classic macaroni cut. It has a curved shape and deep, angled grooves. 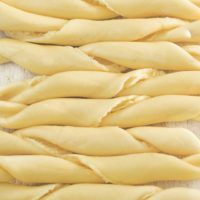 The name comes from the Italian “torquere” or “to twist.” It is a tubular cut that is a member of the pasta al forna (baking pasta) family. 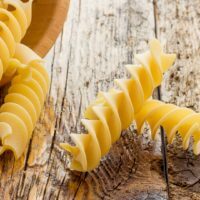 This pasta cut is most associated with the southern part of Italy in Campania. Some people claim that was invented in Naples, while others favor Sardinia. With older cuts like this, it is hard to say for sure but Campania is a pretty safe bet! Today industrial versions are made all over the world. HEY ITALIAN CANADIANS HAVE TORTIGLINI COOKING NONNAS TOO! While Italian immigration to the States is legend, other countries also embraced their own boatloads of future citizens. Chef Mark Perrier at his Vancouver restaurant serves the same tortiglioni with beef braciole every Sunday that his Italian grandmother made! 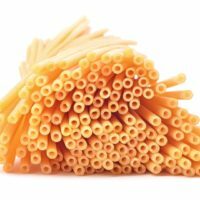 Most restaurants will focus on whipping out your pasta dish as fast as possible. However Chef Perrier needs days to perfect this recipe. Starting with the pig’s neck bones, he gradually works his way through making the sauce before using it to cook the braciole. WHAT SAUCES GO WELL WITH TORTIGLIONI? Try one of our creamy cheese sauces like our Danish Blue Spinach recipe!